It was a Mercedes W123 200 that had a few hundred thousand on the clock. It was bought second hand (or third or fourth) and had a reconditioned engine. The square seats were worn on the seatbelt no longer retracted automatically. In the glove compartment was a lighter, instant lighting discs of charcoal and incense for his trips to the cemetery. In between the two front seats, behind the gear lever, where most cars have an open space, the Mercedes had a open carpeted utility space. In this space was a tin of English sweets. Actually, it no longer held sweets, but was full of R5 coins. It was the sort of float you would have to go specifically to a bank to acquire, unless one of the shop owners in the buildings made change for him. He had a pleasant disposition about him and gained popular support from all passing traffic including my father. I know it’s hard to believe but he really did give to every beggar on every corner when he stopped. Some knew him, and he would always greet them politely. They had less than him and the little money was surely something that would help them. It was a good Christian act and what else could one do? I never noticed beggars in Greece. 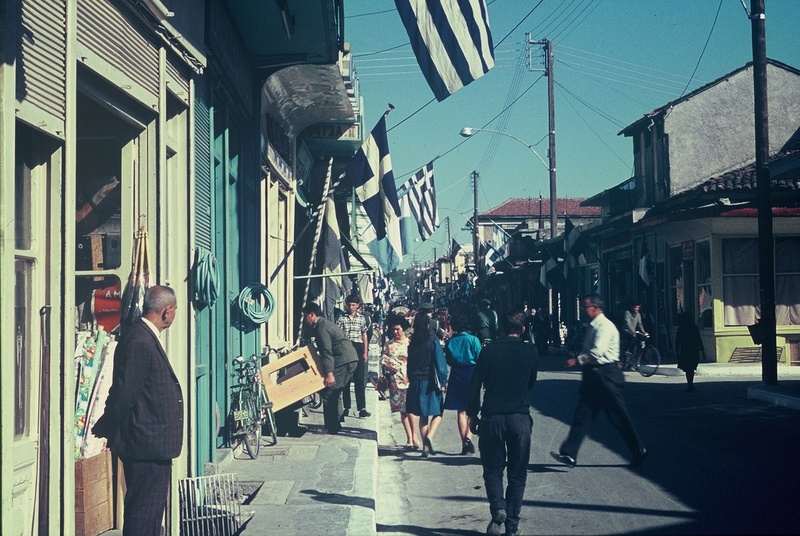 It would have broken my father’s proud heart when the financial crisis engulfed Greece and proud people were forced to beg. I remember sitting in his favourite milk bar in Tripolis after he died. I was shocked when this old man walked in begging. AS I was fumbling with my wallet the owner, a young girl, greeted him and brought him a large ceramic bowl of yoghurt and a slice of bread. He thanked her and sat down to eat. It must break a proud heart to accept charity. Even small change.